Joel and I have led a small group for three years now. They are like family to us. They have walked with us through some really tough stuff this year. Every single one of them showed up at the hospital the night we checked Cora in to encourage and pray with us. Someone from our group was at the hospital every day. Every summer we try to take a small group trip. This year we headed to Table Rock Lake. We were all ready for some fun in the sun. But this particular Saturday there was no sun. The girls were too chicken to get in the cold water. bundled up in our towels watching the boys brave the lake. After eating lunch, relaxing, and even a few naps the sun started peeking through. Finally, it was warm enough to get in the water. By the end of the day we were worn out and a little sunburned. It was time to head back to the cabin to get ready for dinner. We spent the evening at Branson Landing. And a little shopping for some. We ate at a really yummy Mexican restaurant. It is a small group tradition now. They have the BEST guacamole. Here is our whole group minus one couple--we were so sad they couldn't make it this year. It was great to get away. We are so thankful for this dear group of friends. I am so sad for Joel today. I know that today is going to be extra hard for him and there is nothing I can do to make it better. I wish so much that Cora could be here today to celebrate this special day with her daddy. Cora LOVED her daddy. She was definitely a daddy's girl. I remember watching Joel interact with Cora and feeling like my heart could just explode. He loved her SO much...it was precious. 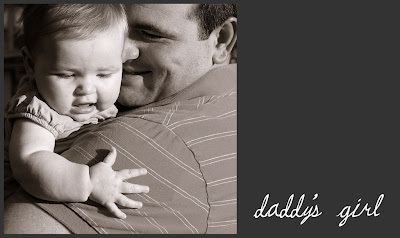 I have so many sweet memories of Cora and her daddy that I will never forget. I know he won't either. I am so glad that the Lord chose Joel just for me and then for Cora too. I couldn't think of a better daddy for my little girl. 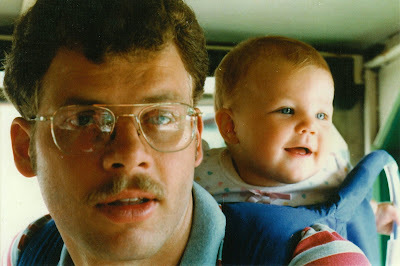 And I am so thankful that I will get to see him "feel" like a daddy again in January. Happy Father's Day to the daddy of a sweet angel and another one on the way! My first appointment was a little over a week ago. I was anxious for the day to arrive. I did ok until the morning of the appointment. That morning I wasn't so great. I was a mess. I was so nervous and anxious and sad all at the same time. I knew I needed to just trust--sometimes that is SO hard! I spent some time with the Lord and tried to hand over all of my fears and emotions to Him. He has been so faithful to walk beside us this far and I knew He would be faithful to help us get through this day too. I needed that time to just be quiet and listen to the Lord, but I still had this heaviness in my heart that we were moving forward without Cora. I felt horrible. I sat in her room for a while and just cried and cried. So many cherished memories ran through my head as I sat there. I remembered sitting in that very rocking chair in the middle of the night looking at my sweet baby and just being amazed that she was my daughter. I felt so blessed. Cora brought us such joy. Now another little baby was on the way and Cora wasn't going to be with us to meet him/her. I know Cora will always be a huge part of our family. But, it is still so hard. I was really struggling to sort through the intense pain of loosing Cora and the joy of this new baby. Joel was just as nervous as I was. We hadn't been to a doctor's office since Cora was with us. During our days in the hospital we always felt this huge pit in our stomachs when a doctor would walk into Cora's room. That was such a horrible feeling. Each time we prayed that bad news wouldn't come out of the doctor's mouth. So often it did. As we sat waiting for my doctor to come in I think we were both feeling that same pit. We were praying that we wouldn't here bad news that day. We didn't know if we could handle any more. We just wanted to hear the sound of a little heart beat. We needed to hear some good news. The nurses and doctors were so gracious to us. The great thing about living in a small town is that they all knew about Cora. We didn't have to explain anything. They understood and were so kind as tears rolled down our cheeks. They were wonderful! And then we heard the amazing sound of our baby's heartbeat. We needed to hear that so badly! We even got to take a peek at our new little one. Everything looked great so far. 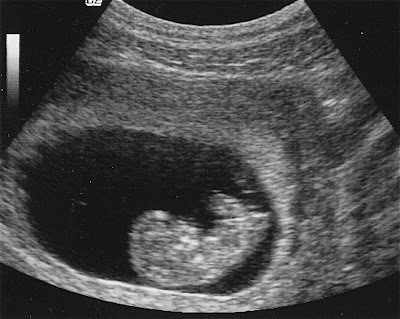 I am 12 weeks along and January 2nd is my due date. We are so thankful for this new little life! I am feeling pretty good. Just tired. And very emotional on top of already being very emotional. I am grateful for my amazing and understanding husband. He is so patient with me. Thanks for your many sweet comments. We loved reading them all! We feel so blessed to be loved and prayed for by so many. we will be clinging tightly to the Lord the whole way! A little more for the Fourth. Hurry to Cora's to get your 4th of July gear! Obviously, this is not a secret anymore! We wanted to share with all of you our exciting news. We are so thankful that the Lord has blessed us with another child. We can't wait for our house to be filled with that joy again. But this announcement comes with so many mixed emotions as it is hard to imagine adding another child to our family without Cora here with us. She would have been such a good big sister! We are so thankful for all of our faithful prayer warriors out there! Please continue to pray along with us for a healthy baby Mac. What a miracle this new little life is! The 4th of July stuff is out. It looked like so much when we were sewing. But I don't know how long it will last. Hopefully we will post more red, white and blue next week. This will have to due for now. Thank you so much for playing along with us. My mom and I had so much fun reading through all of your comments. What great memories and family traditions! Sarah: I must say...I've never won a thing before in my life, so I thought I'd give this a chance! I absolutely LOVE the 4th of July dresses!! My fondest memories as a child are going with my parents to pick out the fireworks. I was always so excited to get the snaps and sparklers! I also loved making a mess with the black snakes with my brothers! We would participate in the towns activities (going to the parade and water fights and such) and then bbq with friends. We always ended the night by lighting off the fireworks. I'm so proud to say that I have passed some of these memories on to my own children. They love to go and pick out snaps and sparklers and love going to the parades! We have started a tradition of bbqing with friends and lighting fireworks as well! I love watching their faces as the fireworks go up in the air. I just hope that I'm giving them the same fond memories that my parents gave to me!Thank you for this great opportunity! !Still praying for your family in Nebraska. Cherie: How fun!! This is my first time commenting. I know, shame on me! :) What a blessing your words are to so many, especially me! One of my favorite things about your journey is the relationship you have with your mom. I can completely relate to having a mom that you love to spend any day with. We are so blessed to have the best moms and to have such a special and close friendship with them. God is good!! You asked about family traditions…Our 4th of July family tradition is to go to my husband’s grandparents house to watch the BIG fireworks display that the school across the street puts on. My husband comes from a farming family and one of the best highlights is Grandpa’s homemade peach ice cream. By the way, I LOVE YOUR CORA DRESSES! Adorable! I just can’t seem to get my hands on them. Who knows…maybe now. :)Thank you for sharing your journey with all of us. Stay strong…I can not imagine how people do this life without our amazing God! Praise the Lord we are HIS!! Bri: I left on a service mission for my church for 18 months on July 5th, 2000. That July 4th before I left was a special one because I knew it would be the last time for a while I would be with all of my family. We went to "The Stadium of Fire" which is always a special experience. It is very patriotic and inspiring. I LOVE the 4th of July and I would LOVE to get one of your giveaway items. Thank you for sharing your life with us. I often am in tears when I read your posts. You inspire me. Sarah, Cherie, and Bri please contact me at thecorashop@yahoo.com with your contact information. We will start posting our red, white, and blue stuff at Cora's sometime this week. Keep checking back! We are having a PATRIOTIC giveaway. I come from a very patriotic family. 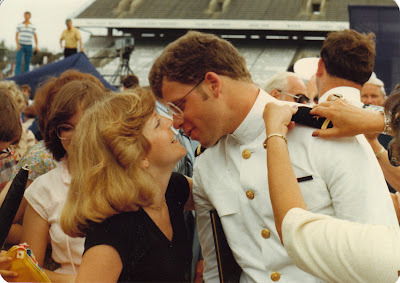 My dad graduated from the Naval Academy. He served in the Navy until I was two. I traveled all over with my parents. I was even born in Japan while my dad was stationed there. My parents always taught me to appreciate this great country we live in. They taught me to be proud to be an American. I have always loved the 4th of July. So, we have been sewing and sewing all things red, white, and blue. We are getting ready to stock Cora's for the 4th of July. 1. One of these two lovely red, white, and blue Cora dresses (your choice). 2. A red, white, and blue girl's shirt. Ok, ladies. I know you all like to win free things. If you have never left a comment before, now is the time! Comments will be accepted from now until Friday at 6pm (central standard time). We will randomly select three comments. Winners will be announced on Monday. How are we REALLY doing? Honestly we don't feel like we are getting "better". Somedays it even seems like things are getting harder. I think we are learning how to get through the days and keep it together when we need to. People say that we are doing so good. That they couldn't handle what we are going through. That we are inspiring. But, most days we just feel like we are surviving. Doing the best we can. Leaning on the Lord to get through each minute. I think we both lay down at night thinking: Phew! We made it through another day. It seems like just when I think I am doing ok something comes and smacks me in the face again. Not for real, but that is what it feels like. Yesterday was one of those days. I was having a pretty good morning. I was being productive and getting things done (which is a good day). I hadn't had any major melt downs. It was almost noon and I walked out to the mailbox to get the mail. I can handle that, right? I sifted through the stack and saw an envelope that I thought was probably Cora's birth certificate. When Cora was born I completely forgot to send in the form to get her official birth certificate. My new mama brain was foggy and unorganized. We had the pretty one from the hospital, but not the official certificate. Last week we needed a copy for some stuff we have to send in, so I got online and ordered three copies. I thought it would be nice to have a few to keep and put in Cora's scrapbook. So, I eagerly opened the letter and I was right. I was thinking what a special document this would be for us to have. Cora's "birth-day" will always be one of my most favorite memories. I turned the papers over and was horrified to see that all three copies and stamped "INFANT DEATH" in capital letters diagonally across the front. That was the moment when I felt like I had been smacked in the face all over again. I mean, SERIOUSLY?!? This was supposed to be my sweet daughter's birth certificate and they had to stamp that on it. Like I am not already reminded of her being gone every day. Were they trying to make my heart hurt worse? Did I really pay $36 dollars to have them stamp those horrible words--three times! Now, I know I shouldn't have taken it personally. I am sure this is just some legal requirement. But, I LOST it. I couldn't stop crying. All these thoughts went racing through my head. Is this document in my hands for real? Is this REALLY my life? Thankfully, Joel called shortly after. I cried and explained everything to him. My poor husband never knows what to expect when he calls home. He is always so understanding and just listens. Then I called my mom and cried some more. She was on her way home and said she would pick up some lunch for me to make me feel better. After all that crying I did feel better, but that was all it took to turn my "ok" day into a horrible day. I don't think I ever fully recovered. Each day is different. I never know what to expect. The littlest things bring back memories and make me sad. I can cry at the drop of a hat. But then sometimes I surprise myself and do ok through something that I thought would be really hard. I am so thankful that God is never surprised. He knows what my day is going to hold before I even wake up. He knows how I am feeling and that my heart feels crushed even before I cry out to Him. He knows just what I need to get through those "smack you in the face" moments. His love and comfort is truly indescribable. I am so thankful that He is in control. I just listed some new dresses at Cora's. I just loved how these turned out. We used Heather Bailey's Pop Garden collection on most of them. I love the colors! Don't forget to check back here throughout the week. We have decided to host our FIRST EVER Cora's giveaway. We are going to give away several items that will soon be listed in our Etsy shop. You won't want to miss it!